I wanted to start off by telling you guys a little about this fish. It’s local fish caught on the north side of the island and I received it cleaned and deboned! How perfect is that! I got it as a gift, to show appreciation for patronage. The technical way to what it really was – a thank you for spending lots of money at one of my favourite stores to spend money at in Trinidad. That would be Fresh! How did I survive with out them and my protein powder and all the other good stuff that has become essential in my life from Fresh! Let’s just say it’s been a good year! More about that fish though. It’s a beautiful fish and it was fabulous roasted with that Provençale sauce. 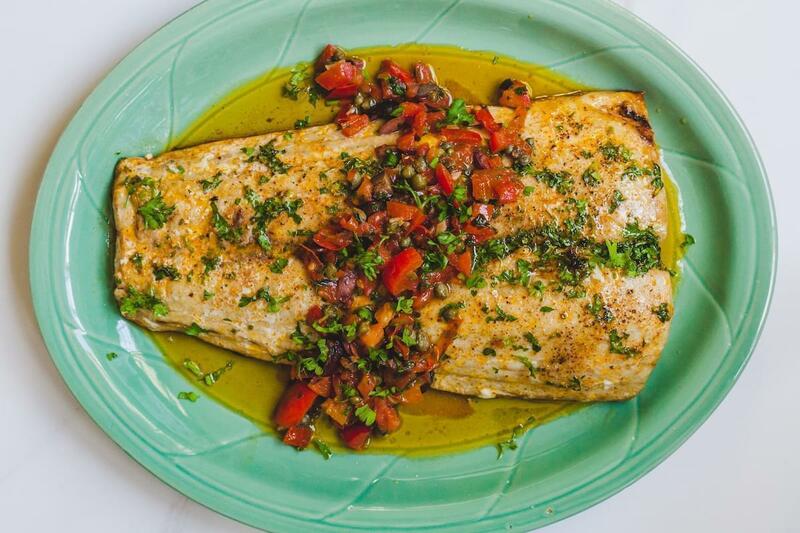 This fish could have been prepared many ways and would have been fabulous! 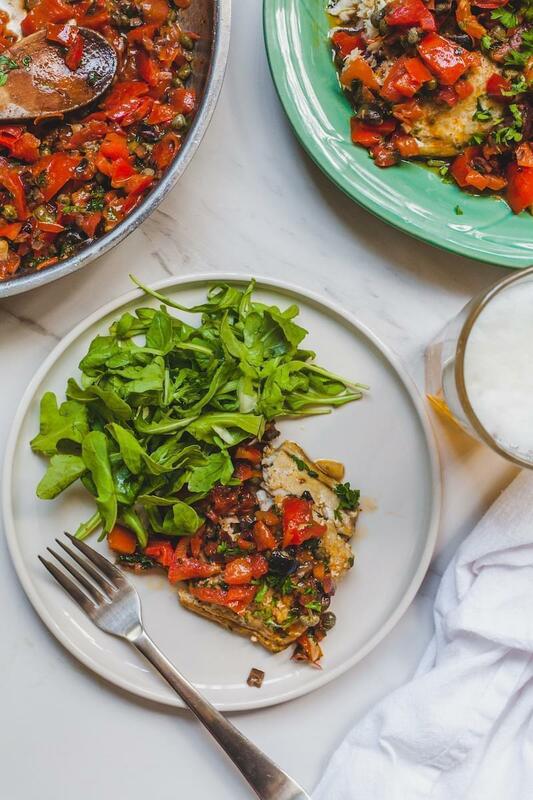 I wanted the fish to take the centre stage in this recipe and that is why I decided to make it this way. The sauce lends to it but doesn’t take over. 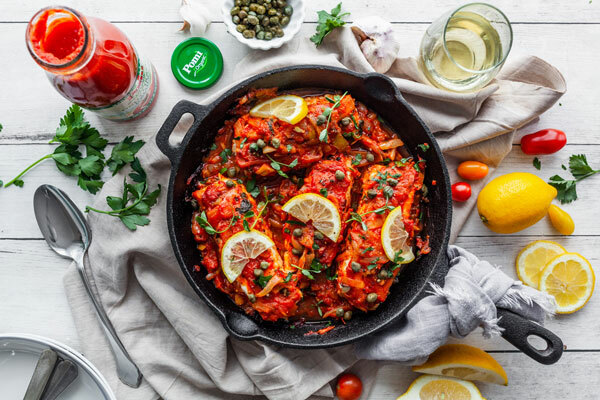 The fish is flaky and buttery and the sauce is savoury and has layers of flavour in it from a slight spice to a little tomato tang and some good funk and saltiness from the capers to the olives and to the anchovies. My kind of flavours!! I will definitely be purchasing this fish if they do decide to stock it at Fresh. This could easily feed 4-6 with some sides and its very well priced for this quality of fish, so would be great for a dinner party. It roasts in the oven for approx 30-45 min because of its thickness and the sauce is whipped up in minutes. I will be making this for company again for sure. So let me share with you how I prepared it and it might give you a little inspo on preparing your king fish fillet or any other white fish you may have had in mind. Preheat oven to 400 ° F and butter or grease a baking sheet. Combine the butter, paprika, parsley, lemon zest and juice as well as salt and pepper and stir until well blended. 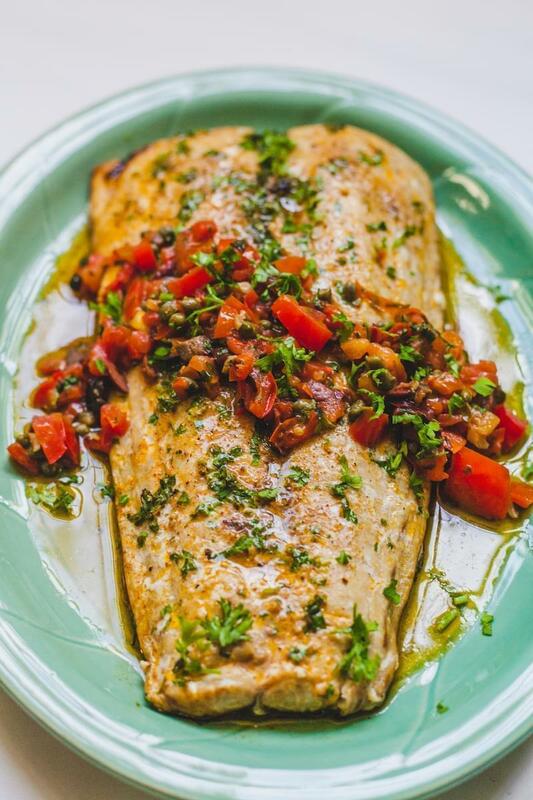 Transfer fish to platter, tent with foil for a few minutes while you make the Provençale sauce. Heat the butter and oil in a medium sized pan on medium heat and add the garlic, zest, chili flakes and thyme and sauté for a couple minutes until very fragrant. 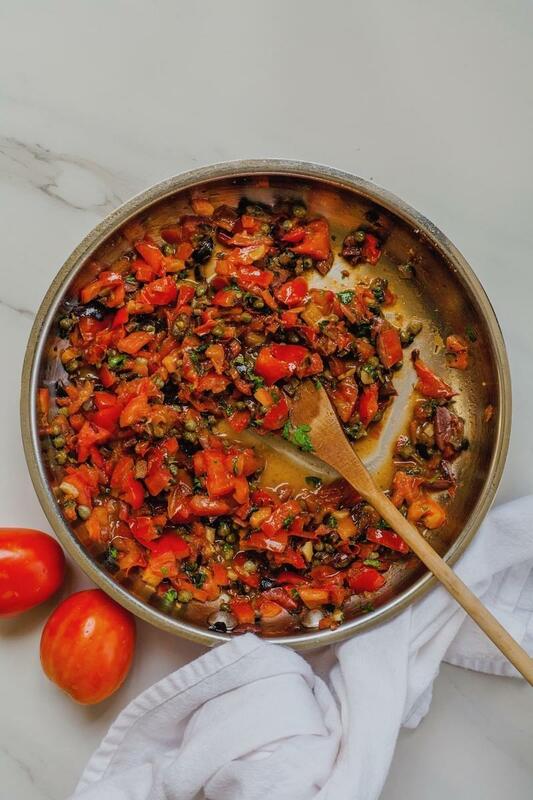 Add the tomatoes, anchovy paste, capers, olives, vinegar and sugar and partially cover and cook for a few minutes until the tomatoes soften. 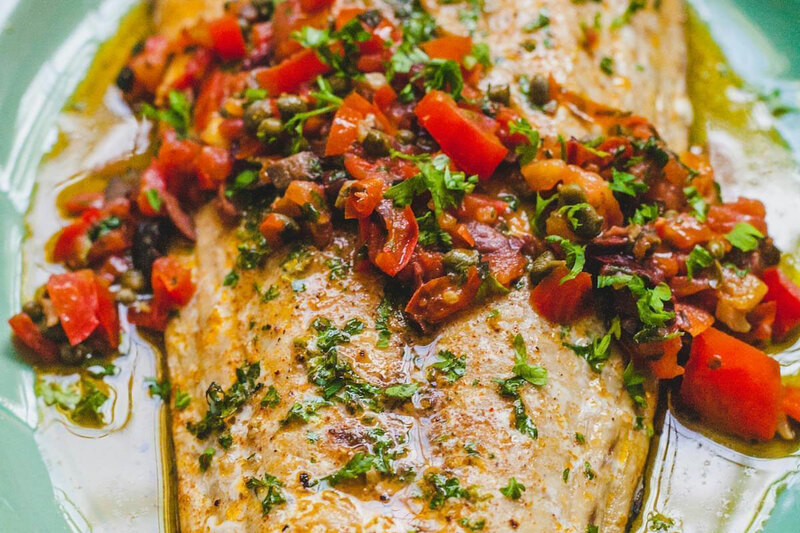 Add the olives and parsley and stir, taste for seasoning and it’s ready to serve over the fish garnished with more parsley.